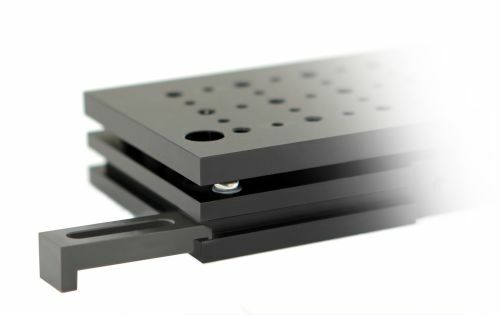 Using Table Clamps 3TC6 and 3TC7 you can position any Standa base and most base mounted components at any angle on the table and have not to be limited by mounting hole pattern of the optical table. For using clamps the device is positioned so the slot of the clamp is over the base and so the screw can be inserted into a tapped hole. Tightening this screw can generate sufficient force for most mounting applications.